Black Core, Black Torus, Minimal Graphics. 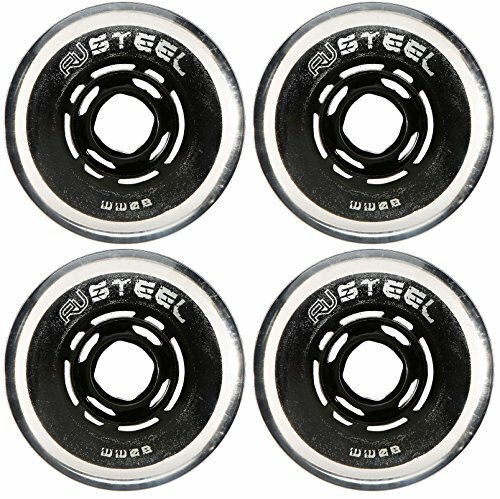 The sleek and unassuming Steel has a cult following of players looking for a high end wheel that lasts longer and can withstand some extra abuse. Although the Steel was originally created with the larger players in mind, some of the smaller guys swear by the speed, grip and durability this tank brings to the rink. If you want long lasting performance, The Steel is the answer. Includes 4 80mm 80A Revision Variant Steel Wheels. If you have any questions about this product by Revision, contact us by completing and submitting the form below. If you are looking for a specif part number, please include it with your message.